1957 was the beginning of the "tail fin era" as carmakers attempted to emulate the supersonic jets of the day. With only modest fins, the Sedan de Ville was still packed with styling cues throughout its exterior. 1957 was the beginning of the “tail fin era” as carmakers attempted to emulate the supersonic jets of the day. With only modest fins, the Sedan de Ville was still packed with styling cues throughout its exterior. 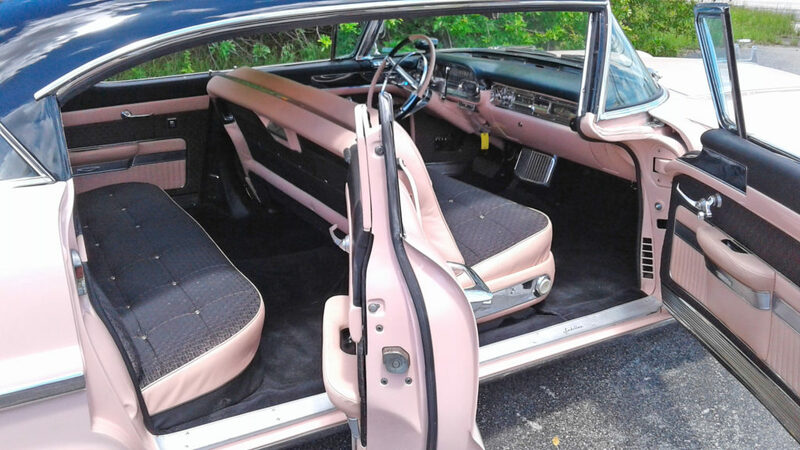 In December of 2015, RacingJunk.com posted photos and the backstory of legal entanglements and state-to-state shuffling of Elvis Presley’s pink 1957 Cadillac Sedan de Ville. As the story unfolded, the iconic car landed in the capable hands of Dale Warrington at Custom Paint & Body of Ft. Pierce, Fla.
Warrington had speculated that restoring the Caddy would take roughly a year, but due to the rarity of some parts and the slow progression of refurbishing the car’s elaborately designed interior, the project chugged slowly into a 2-year venture. Classic big bumpers and bumper extensions were typical of ’50s luxury. Note the single hi-low headlights. The customized Elvis license tag frame is said to be worth $2,500 alone. Warrington’s reputation as an automotive perfectionist has spread well beyond Fla. Ratty old cars have been shipped from as far away as Chicago for him to transform into award-winning masterpieces. 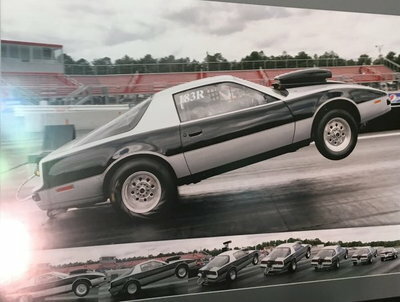 His recently acquired 9,000 square foot facility is jammed with antique cars, muscle cars and even a few European models – all in various stages of restoration. In fact, the youngest car in the shop is a 1970 Chevelle SS. The highly detailed interior took several months to complete. 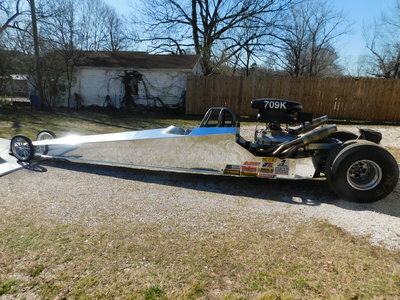 As shown in our December RacingJunk story, Warrington and his team gutted the car and started a rotisserie frame-off. The frame itself was media-blasted and recoated. No body filler of any kind was used; all panels were checked, rust was cut out as needed and patches were welded in. 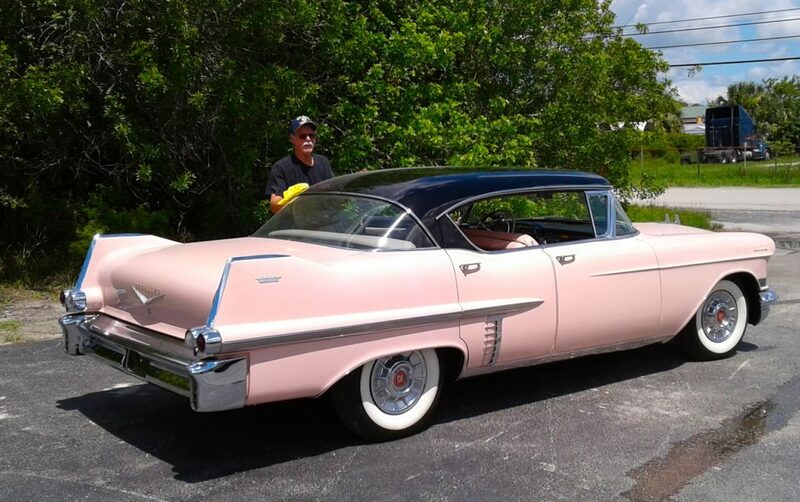 The body and dozens of parts were then primed and finish coated with five coats of PPG Concept acrylic urethane paint in “Mountain Laurel” pink. 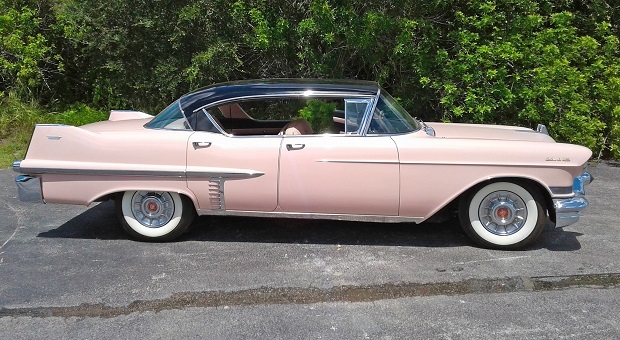 It would be exciting to see a local buyer acquire this ’57 Sedan de Ville. Dale Warrington’s exceptional restoration reveals an incredible eye for detail. Instead of polishing, all chrome pieces were sent to Space Coast Plating in Melbourne for refinishing. 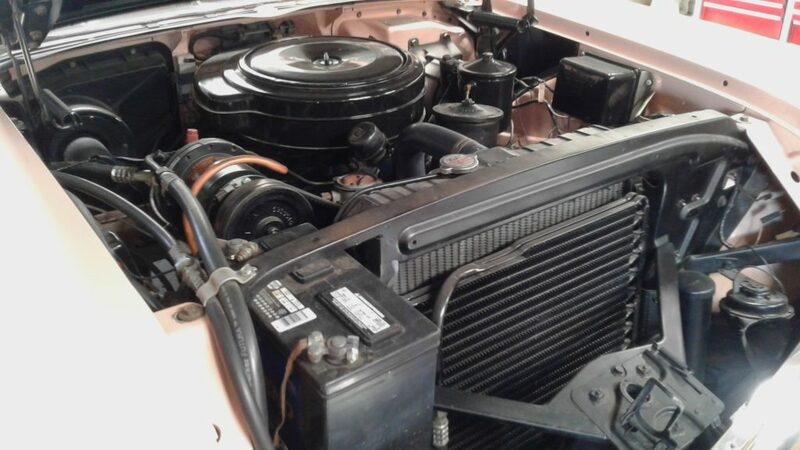 A completely rebuilt 365 cubic inch V8 is cradled inside a nicely restored engine compartment. Notice the forward-mounted battery position. To Warrington’s credit, the car was structurally restored and painted in late 2016, but the interior restoration took several months to complete. Elvis Presley had ordered the car with every available option: a power antenna and trunk release, air-conditioning, power steering, brakes and windows. It also had the “Autronic Eye” mounted atop the dashboard. Introduced by General Motors in 1952, the Autronic Eye used a light-sensing phototube to detect oncoming headlights, which would trigger the activation of low beams. A floor mounted radio switch allowed the driver to switch radio stations on the fly. 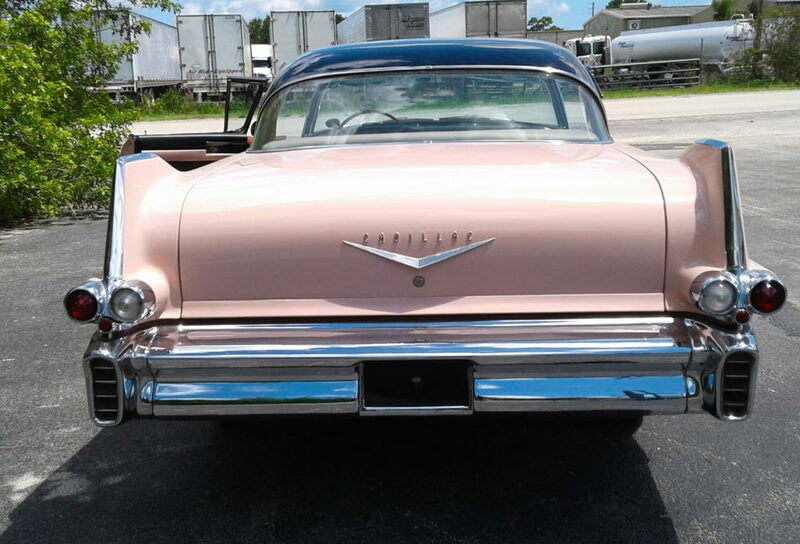 The ’57 Cadillac featured dual exhaust outlets which were built into the bumper. “The floor switch was a hands-free way to surf the radio stations – as you’re looking for an Elvis tune,” Warrington laughed. 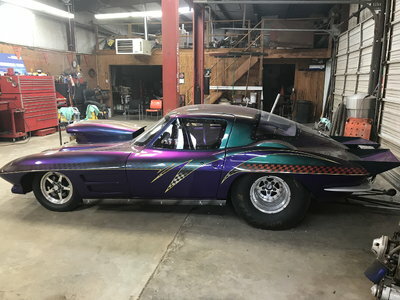 The car’s owners, Bill and Linda Kinard, are hoping to see the car sell at an online auction in September. Bill would like to see the bidding run as high as $1.2 million. 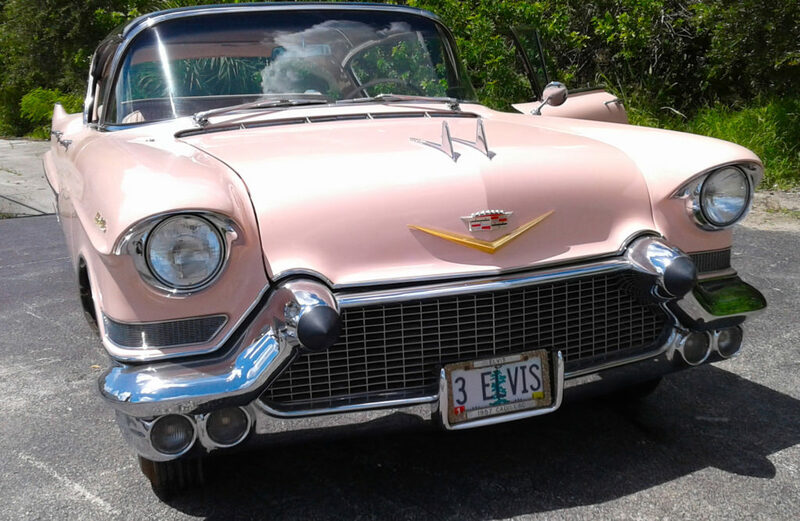 Kinard inherited the Presley ‘57 Cadillac, and some additional Elvis memorabilia, from the estate of former Los Angeles Dodger Bruce Buseman after he passed away in 2004. The Kinards were surviving board members of Buseman’s ‘Professional Sports Hall of Fame Museum’ in Eugene, Ore. A court awarded many of the items to the Kinards. The car has become famous worldwide and was recently featured on The Guardian UK’s news website. 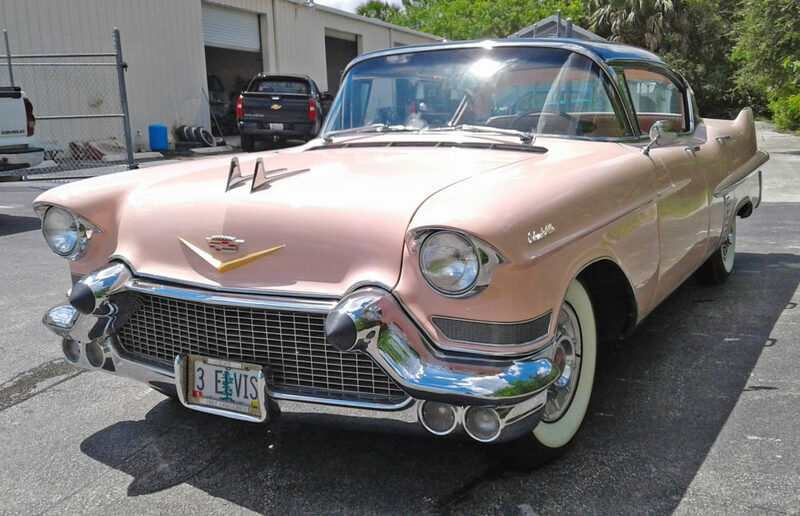 Bill Kinard believes this historically significant Caddy could bring upwards of $3 million at the auction, but indicated he’ll probably set a reserve at $1.2 million. Vero Beach’s Dale Warrington wipes down his masterpiece project at Custom Paint and Body of Ft. Pierce. 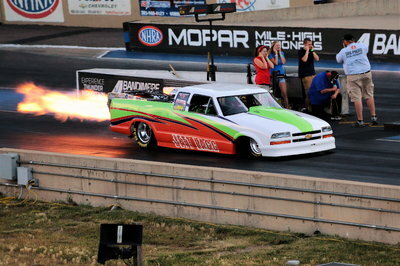 Keith MacDonald started his automotive writing career at the young age 45. 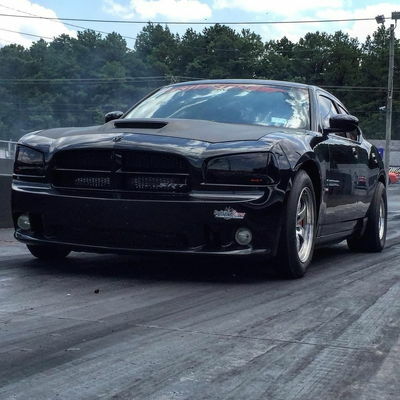 When not writing auto reviews for his local Vero Beach, FL newspaper, he's written 2 street racing novels, "Woodward Avenue," and "Woodward Avenue II: Ground Pounders."